A new federal voucher that gives low-income women access to a range of fruits and vegetables could provide unique new marketing opportunities for California growers. In 2009, the federal Special Supplemental Nutrition Program for Women, Infants and Children (WIC) began distributing monthly cash vouchers to low-income women with children to buy fruits and vegetables. The program reaches almost half of the infants and one-quarter of children under 5 years old in the United States. A team of UC Cooperative Extension (UCCE) researchers and nutrition advisors has been exploring the possibility of developing a farm-to-WIC program that would link these low-income consumers with local growers. The purpose of such a program would be to increase the consumption of a wide variety of fresh produce, with a focus on locally grown produce when available. UCCE conducted a survey of produce preferences and buying habits among WIC participants in Tulare, Alameda and Riverside counties in 2010. The full study is published in the January-March 2012 issue of California Agriculture journal. Although mustard greens and collards were not popular across all sites, the advisors gauged a potential market in Alameda County, so these were retained. Based on write-in responses, oranges were also added. In California, which has the nation's largest WIC program, 82 local agencies serve about 1.43 million participants at 623 local centers, and WIC participants can redeem their monthly vouchers at 4,000 grocery stores statewide. About 40 percent shop at WIC-only stores, which stock and sell only WIC-authorized foods. Stocking produce is relatively new to WIC-only stores; before rollout of new WIC food packages in October 2009, these stores were only required to stock limited amounts of fresh carrots. In the survey, most WIC participants (58 percent to 72.3 percent) responded that their preferred stores offered many choices, but fewer participants (18.5 percent to 41 percent) rated the produce quality as “excellent.” Key factors determining purchase decisions were produce quality and freshness, and nutrient value (vitamins and minerals). Cost was relatively less important, possibly because WIC participants procure the produce with the vouchers. The list has served as a starting point for discussions with growers and WIC vendors. 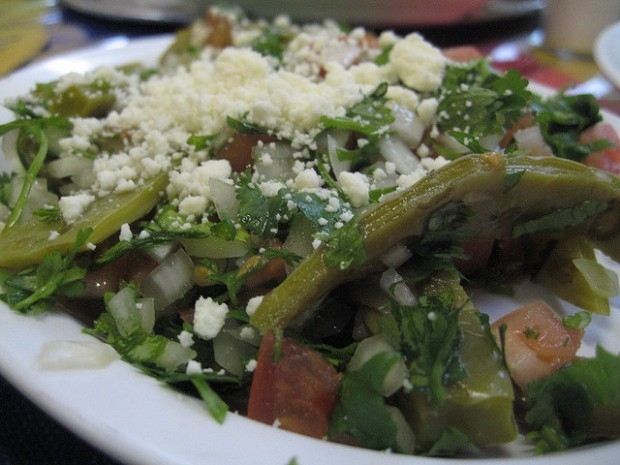 A dish made with nopales (cactus pads).